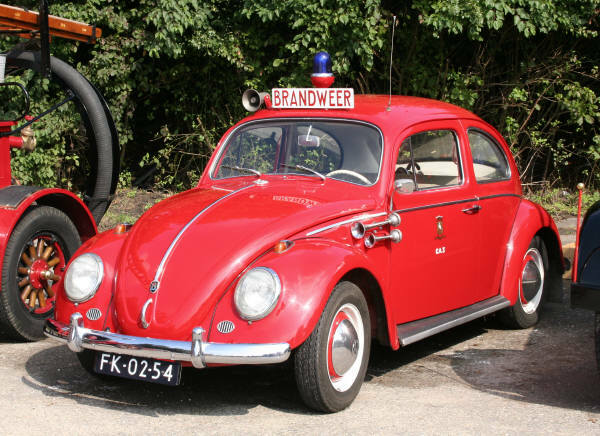 This 1961 Volkswagen Beetle (Kever in Dutch) is a replica of one of the two Volkswagen Beetles with service in the fire brigade of Den Haag (The Hague). it was don in 2003 by the a member of the SHB (Stichting behoud Historisch Brandweermaterieel). Added by SHB on 05 April 2007. It’s was so beautiful beetle, anyone had more pictures of rear side and details in interior? Added by BEN on 24 September 2011.